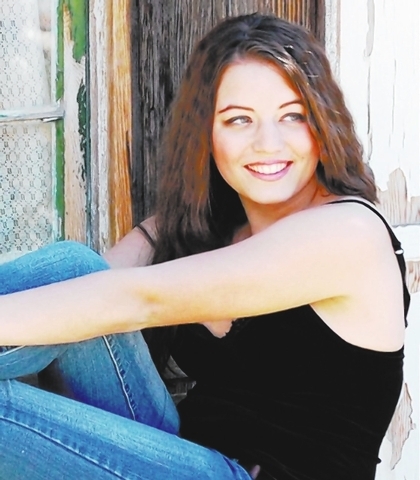 A 2008 Boulder City High School graduate and Miss Boulder City Scholarship Pageant runner-up has died after a bicycle accident in Reno. Lani Craig Lunden, 23, died Sept. 18 in a Reno hospital after being placed on life support with a brain injury she suffered Sept. 14, family friends say. The death came as a shock to friends in Boulder City, who knew Lunden as a kind, enthusiastic girl with a great sense of humor. Adams, who was involved in the school orchestra and Miss Boulder City with Lunden, has plenty of stories about her friend. Like the time Lunden broke her fingernail in color guard, just before she was scheduled to compete in Miss Boulder City. And then there was the backstage antics of one high school play, where Lunden depantsed a friend seconds before walking onstage and delivering a performance. “That was Lani. You couldn’t tell she had just depantsed somebody if you weren’t peeing in the background laughing so hard,” Adams said. “I really enjoyed working with her,” Lee said. After hearing of Lunden’s death, Adams coordinated a memorial gathering Sept. 19 at the high school football field. Adams said about 35 or 40 people attended the gathering, where, with the football field lights out, the group lit yellow and black candles. Yellow and black, Adams said, because they are the colors of Hufflepuff, one of the houses of Hogwarts School of Witchcraft and Wizardry in the Harry Potter books. The group then wrote messages on balloons for Lunden, got in a circle, and let them go. “We counted to three and we released them. That’s when the tears started coming,” Adams said. A memorial gathering was also Saturday in Reno, where Lunden was studying to become a teacher at the University of Nevada, Reno, while working at a law firm. Initial reports from friends were that Lunden was involved in a hit-and-run accident while riding her bicycle. But according to Reno police, the accident was investigated and through examining Lunden’s bicycle, and speaking to witnesses, did not appear to involve a vehicle. An online fundraiser has been created to help Lunden’s family with medical expenses. Donations can be made at www.giveforward.com/thelundenfamilyfund.